One of the best things about music posters for college is that, not only do they make your dorm decor look better on the whole, they also help you express musical interests, which is a great way for making friends! It's pretty cool when such humble dorm supplies as posters for college can have such an effect. 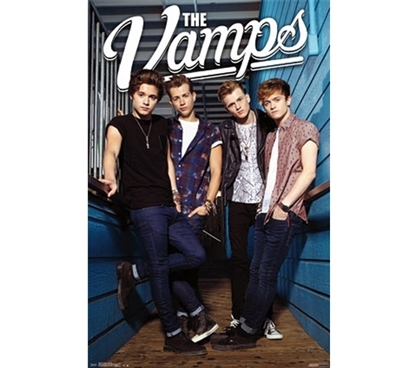 So, if you like their music, add The Vamps Poster to your dorm supplies. When you're decorating your dorm, college posters are dorm staples. Since they're cheap items for college, you can add more than just one or two to your list of college decorations. Dorm shopping means looking out for deals at all times, but with cheap posters, you really don't have to budget, which is yet another reason they're college essentials.